A 1934 Alfa Romeo Tipe B P3 raced by Scuderia Ferrari was at €3,920,000 the top result at the RM Sotheby’s Paris 2017 classic car auction. 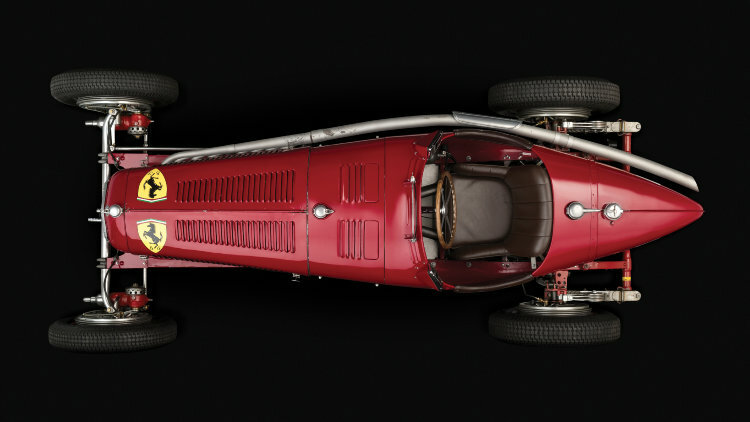 A 1934 Alfa Romeo Tipe B P3 Grand Prix racing car sold for €3,920,000 as the highest result at the RM Sotheby’s Paris 2017 sale. A 1973 Ferrari 365 GTB/4 Daytona Spider sold for €2,156,000 while a 1988 Porsche 959 Sport sold for a new model record price of €1,960,000. RM Sotheby’s sold six car for more than a million dollar at the Paris 2017 sale during Rétromobile week. The highest bid in the auction was €3.9 million for the 1970 Porsche 917/10 Can Am Prototype. RM Sotheby’s held its fourth annual Paris Rétromobile week classic car auction on 8 February 2017. RM Sotheby’s achieved a gross sale total of €27,576,400 ($29,451,595) – its best result thus far in Paris. Of the around 80 cars on offer, 25 were Porsches, of which 23 were sold. The sell-through rate for the total auction was 78%. In 2016, RM Sotheby’s grossed €19 million with a sell-through rate of 79%. The top result was €2,744,000 for a 1955 Porsche 550 Spyder. Auction held in euro. Conversion €1 = $1,068. The highest result at the RM Sotheby’s Paris 2017 classic car sale was €3,920,000 for a 1934 Alfa Romeo Tipe B P3. 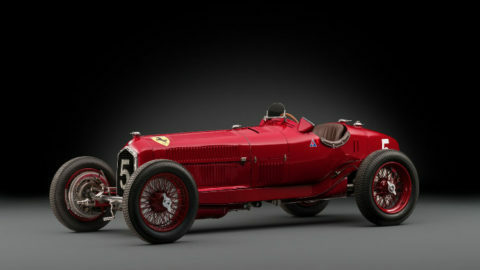 This important pre-War Grand Prix racing car was the sixth of only seven second-series wide-body cars made by Alfa Romeo. 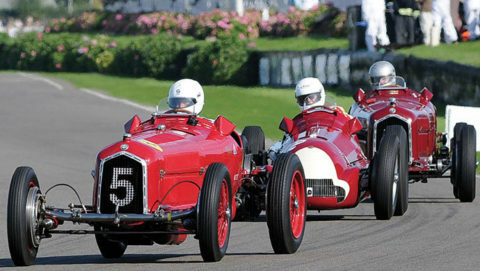 The Alfa Romeo Tipe B P3 model was launched in 1931 and took first place at Monza and a 1-2-3 in both the French and the German Grand Prix. After the Alfa Romeo racing team had declared bankruptcy, Ferrari took over the cars and continued the racing success in subsequent years. The 1934 Alfa Romeo Tipe B P3 sold at RM Sotheby’s was one of the Alfa Romeos raced by Scuderia Ferrari in the 1934 and 1935 seasons. 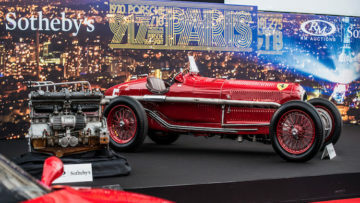 Tazio Nuvolari, Achille Varzi, and Pierre Louis-Dreyfus are some of the drivers who raced the car although it is not known exactly which of the Alfa Romeos were driven at any specific Grand Prix race in the period. See Alfa Romeo Tipo B Announcement for more on this car. 25 Porsches were on offer at the RM Sotheby’s Paris 2017 sale – nearly a third of all the cars on offer. Despite the huge number of Porsches available here and at the Bonhams and Artcurial Rétromobile sales, several very good results were achieved despite the headline cars failing to sell. The cheapest car sold in the auction was also a Porsche: €33,600 was paid for a 1976 Porsche 912 E.
A 1988 Porsche 959 Sport sold for €1,960,000 – at the top of the estimate range to set a new world record for the model at public auction. 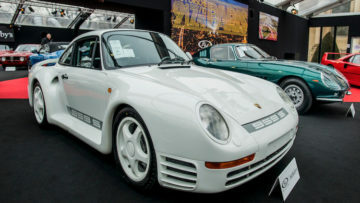 This was the first time a Porsche 959 sold for more than $2 million – a result nearly double what standard Komfort model sell for. Only 29 of the 284 Porsche 959s built were sport versions. This car originally belonged to Vasek Polak and was the first Porsche 959 registered in the USA. This 959 is one of a private Swiss collection of 42 Porsches that RM Sotheby’s will sell with no reserve margin at various auctions in 2017. 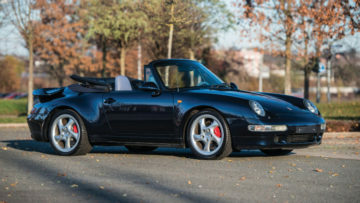 A 1995 Porsche 911 Turbo Cabriolet sold for €1,344,000 – well above the €850,000-€1,000,000 pre-sale estimate that seemed a bit optimistic before the auction. This car is one of only 14 special-order 993 Turbo Cabriolets that Porsche built in its Exclusive programme. The car had only two owners from new and was driven for only 18,000 km. A 1994 Porsche 911 Turbo S 3.6 sold just short of a million for €901,000 but well above the €650,000-€850,000 presale estimate. This car is also rare as just one of 17 Porsche type 964 Turbo S cars made. The 1964 Porsche 901 Cabriolet Prototype by Karmann showed that rarity is not enough for top results. The highest bid of €560,000 was initially rejects but the car was sold for €649,600 – less than half the result achieved for the 1995 Porsche 911 Turbo Cabriolet and well short of the €850.000 – €1.000.000 estimate. This is the only known 901 cabriolet prototype ever built and the oldest, unrestored Porsche 901 in existence. For more on this unique car see the Porsche 901 Cabriolet Prototype announcement. 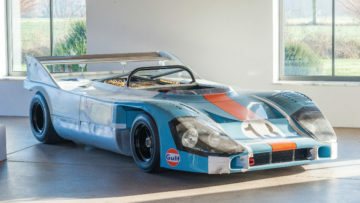 The 1970 Porsche 917/10 Prototype received a highest bid of €3.9 million – the highest bid of the auction but too low to clear the reserve margin. The estimate was €4,600,000-€5,500,000. This racing car was the first of 13 Porsche 917 Can Am Spyder built and the only 917 variant with a number 001 chassis in private ownership. A 1973 Ferrari 365 GTB/4 Daytona Spider sold for a good €2,156,000 as the top result for a Ferrari at the RM Sotheby’s Paris 2017 sale. The car had covered only 20,000 miles with only around 5,000 added since 1987. Rare for a Ferrari, the early ownership history is unknown. 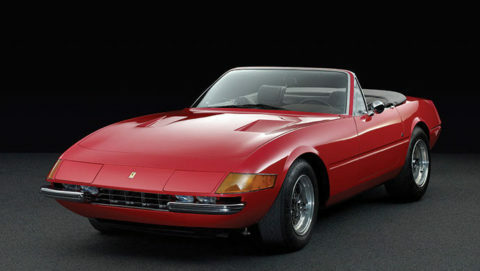 Ferrari produced only 121 Spiders of the Ferrari 365 GTB/4 Daytona series and these commands a considerable premium over the more common Berlinetta versions. It is currently a buyer’s market for Ferrari 365 GTB/4 Daytona Berlinettas: four failed to sell at Scottsdale / Arizona 2017 and a further three were on offer at the Paris auctions. The 1969 Ferrari 365 GTB/4 Daytona Berlinetta at RM Sotheby’s Paris sale achieved a respectable €705,600. A 1965 Ferrari 275 GTB by Scaglietti sold at mid-estimate for €1,932,000 at the RM Sotheby’s Paris 2017 sale. 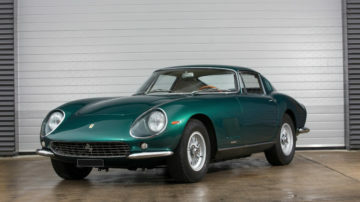 This was one of the better results for a Ferrari 275 GTB at recent auctions – at Scottsdale four were on offer but two failed to clear the reserve margins and the other two sold well below estimate. The 1965 Ferrari 275 GTB is Ferrari Classiche certified and in its original color scheme of Verdo Pino over beige. It is one of the short-nose, first series models of which only around 250 were produced. 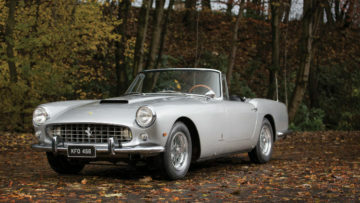 A 1962 Ferrari 250 GT Cabriolet Series II sold for €1,232,000 – just above estimate. This was the penultimate car of the 200 built and is fitted with a factory hard top. The car is Ferrari Classiche certified but unrestored. During 2016, several Ferrari 250 GT Cabriolet Series II cars failed to sell due to too high reserve margins. However, expectations seemed to have been lowered and Bonhams sold one for $1.4 million at Scottsdale 2017. The only top Ferrari failing to sell was a 1989 Ferrari F40 that achieved a highest bid of €850,000 (estimate €950,000-€1,050,000). Prices for standard F40s without any special provenance or features are not currently much stronger. 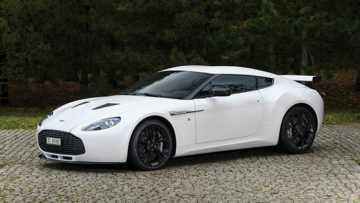 Aston Martin’s popularity at auctions continued with RM Sotheby’s selling a 2012 Aston Martin V12 Zagato “No. Zero” for €750,400 – €75,000 above upper estimate. This was the first of 65 cars produced to celebrate the 50th anniversary of the legendary DB4GT Zagato – one sold for a marque-record $14.3 million at RM Sotheby’s New York 2015 sale. Each of the 65 cars is unique with special features and individually designed elements. At the other end of Aston Martin history: Bonhams sold a 1935 Aston Martin Ulster Sports Two-Seater for €2 million a day later. RM Sotheby’s next classic car auction will be the Amelia Island sale on March 10-11, 2017 where a 1937 Bugatti Type 57S Cabriolet with coachwork by Vanvooren is likely to take top honors.